Captain Richard (Richie) Provost made the Supreme Sacrifice on April 30th, 1977. While responding with the Department on April 23rd, 1977 to a van fire, Captain Provost was struck in the head and chest by a propane cylinder that had exploded while being transported in the van. He was taken to Nassau Hospital by the department ambulance where he never regained consciousness and succumbed to his injuries one week later. The ensuing wake and funeral services were attended by thousands of firefighters from across the Northeast. 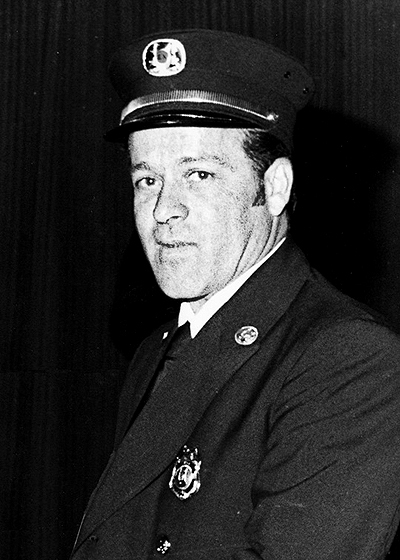 Richie was the first member of the department who lost his life in the line of duty. He is survived by his wife and three children.